A 14-0-14, 5 Amps Step – Down transformer with two 10 Ampere diode and a 1000 uF capacitor form the power supply for the charger. Automatic cut off circuit comprises a Medium power NPN transistor BD 139, a 12 Volt Relay and few other components. The positive from the charger is connected to one end of relay and the Common contact. NC (Normally Connected) contact of the relay goes to the positive terminal of the battery under charge. 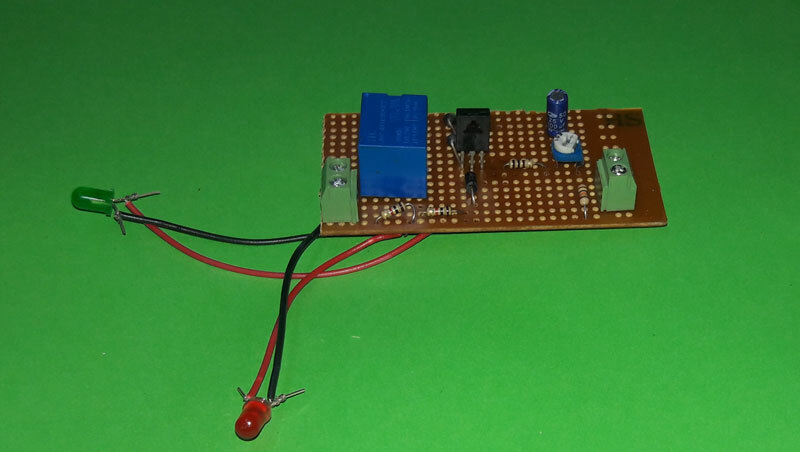 A Red LED with 1K resistor is also connected to the NC contact of relay to indicate charging process. A Green LED with 1K resistor is connected to the NO (Normally Open) contact of relay. This indicates battery full charge condition. Before connecting to the battery, set VR1 for the cut off voltage. Connect a fully charged battery having 13.8-14 V or a Variable power supply set its voltage to 14 V at the output. Power charger and adjusts VR1 till Relay turns on and Green LED lights. So at this point, charger will cut off. Connect battery. Red LED will light indicating the charging process. When the terminal voltage of battery rises to 13.8 V, relay turns on and Comm and NC contacts breaks. This stops charging. Use two Crocodile clips with 1.5 mm Red and Black electrical wires to take output to the battery. 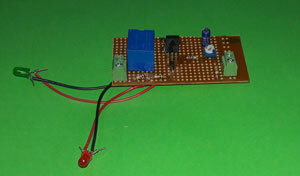 Image is the Prototype of the Charger cut off circuit. Assemble as per the diagram.